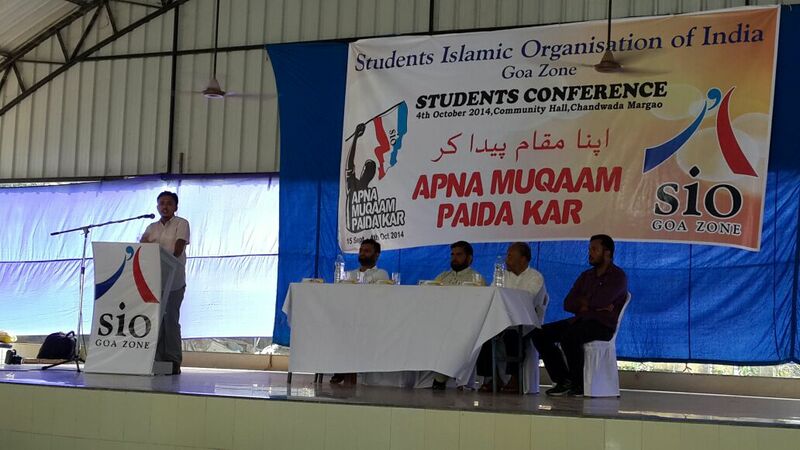 Student’s Islamic organization of India, Goa zone organized a 20 day long campaign on the theme ‘APNA MUKAAM PAIDA KAR’ from 15th September to 4th October. 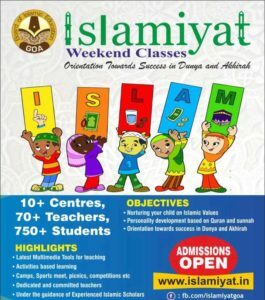 The statewide campaign aimed at making the muslim community aware of their duty and creating a sense of responsibility among them. 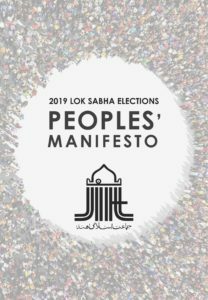 The campaign featured multiple conventions on the above theme at various places all over Goa like: Pillar, Panjim, Thivim, Mapusa, Valpoi, Vasco, Sankhli and finally a grand convention in Margao. 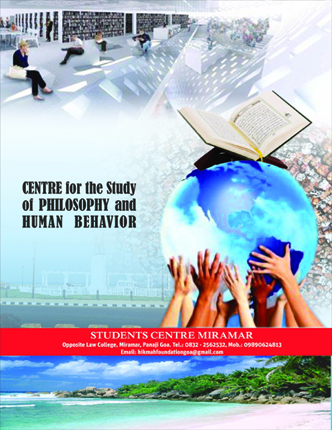 Pillar hosted the first convention. 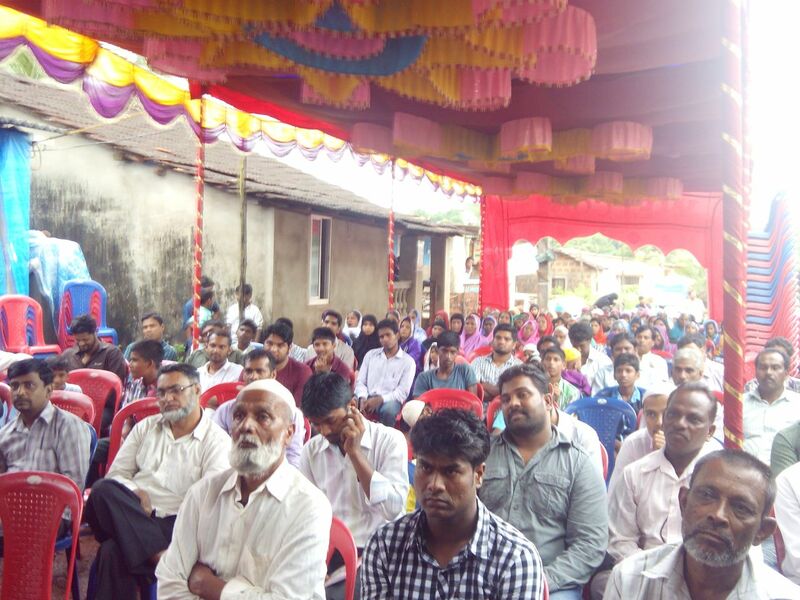 Locals from their respective places including students and parents attended the conventions at various places in good numbers. 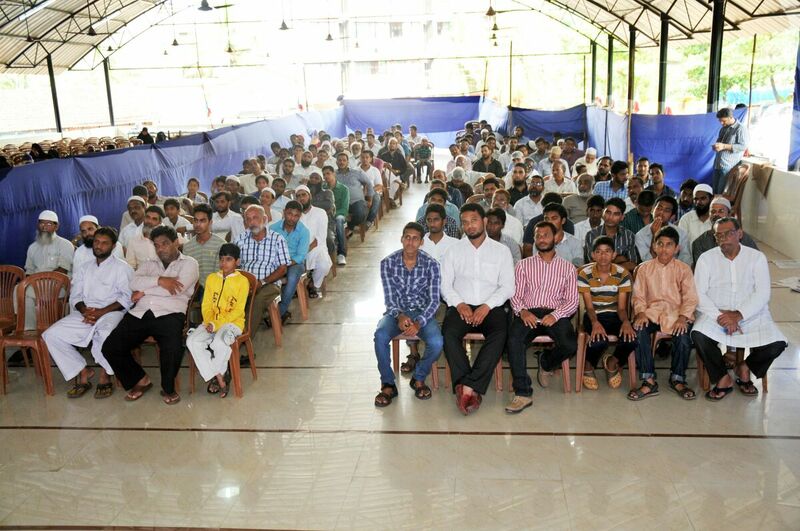 Emphasis was laid on making people aware of their responsibility as ‘Khaire ummah’. 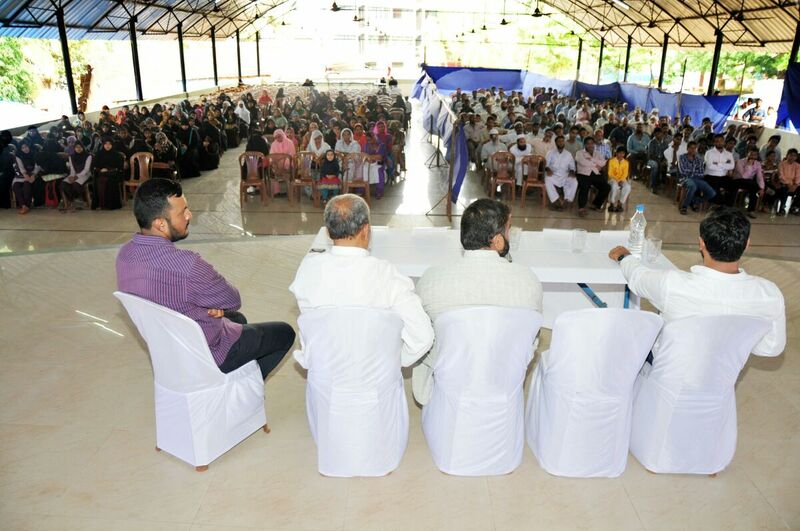 Acquiring more and more education and contributing to the society were also the focal points in the conventions held all over Goa. 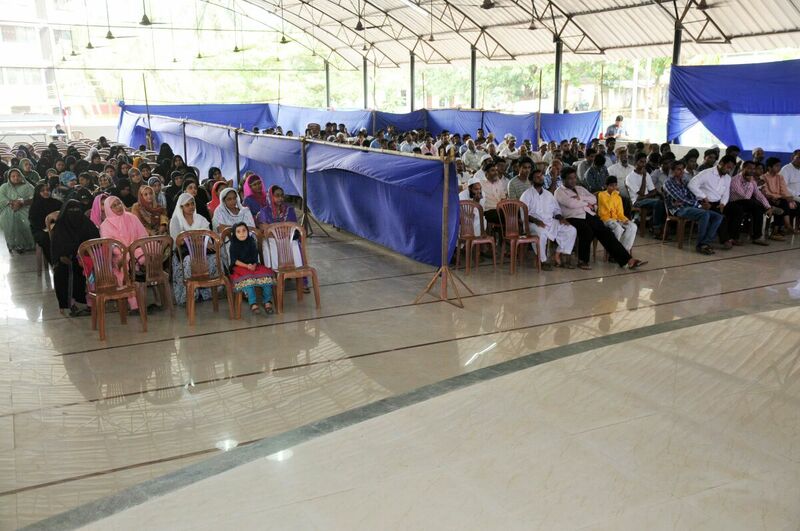 The campaign concluded in Margao. 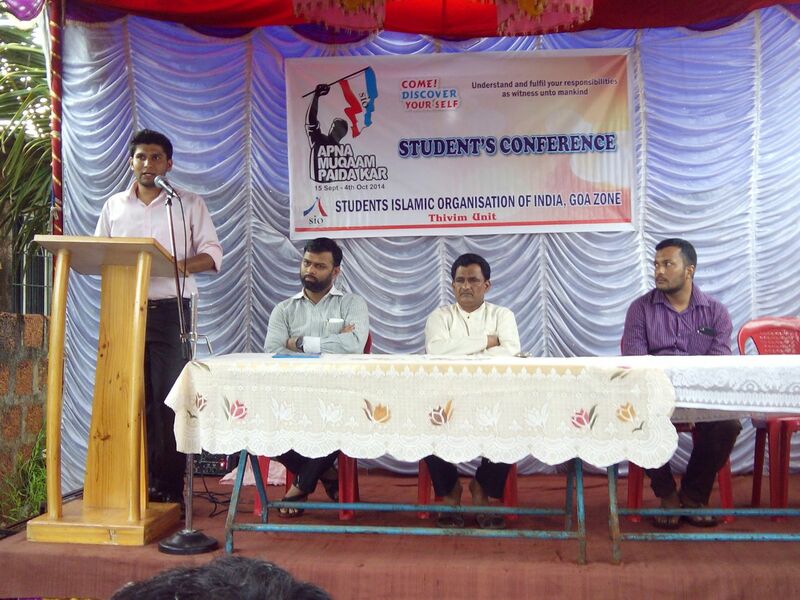 Margao Unit organized the Concluding Conference of the 3 week long campaign at the Community Hall, Chandwada, Margao. Jb. 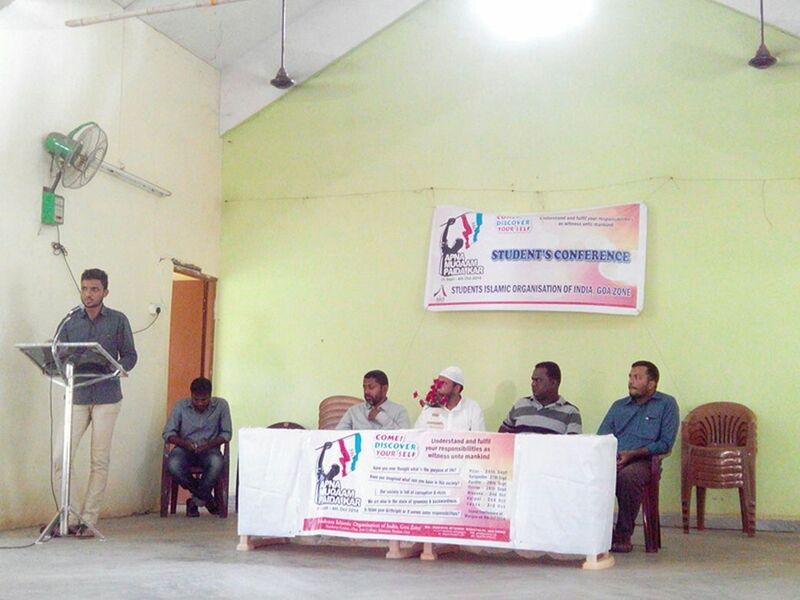 Ateeq Ur Rahman presented the Keynote address. 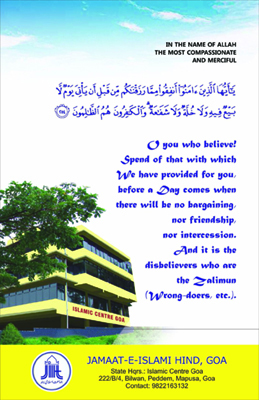 Br.Shaukhat Ali, Ex National Sec. 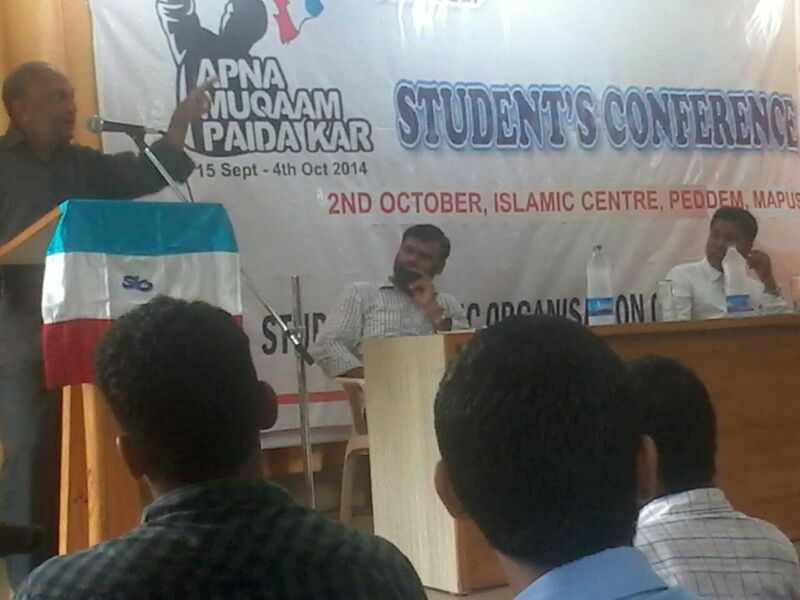 SIO India & Jb.Hafiz Muhammad Faizuddin spoke on the theme Apna Muqaam Paida Kar. 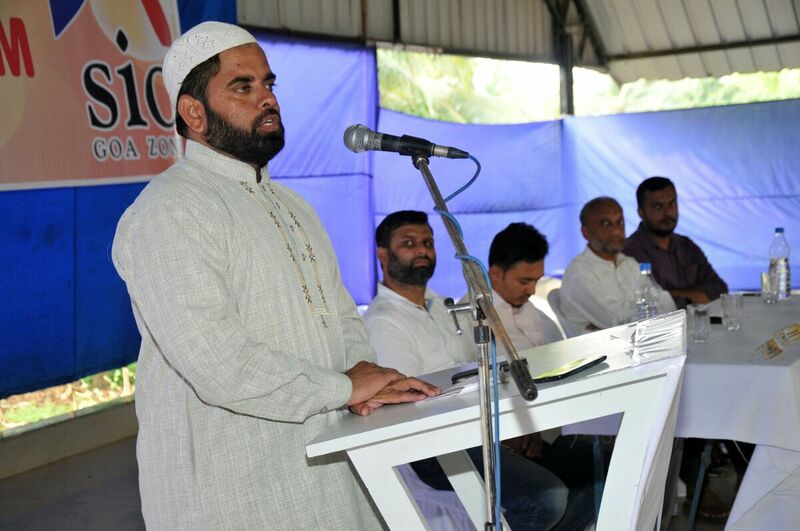 Both the speakers highlighted the crisis of Muslim Ummah and instructed the audience to take inspiration from the Golden History of Islamic Inventions which revolutionized the world. 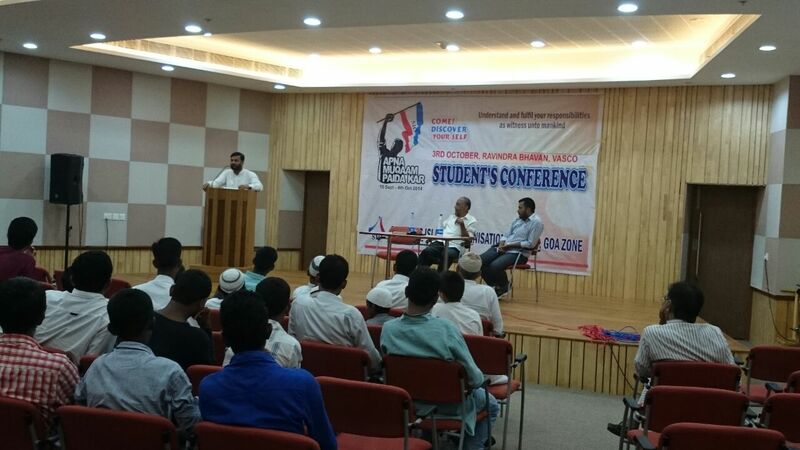 They also spoke on making platforms for one self and contribute for the Islamic cause. 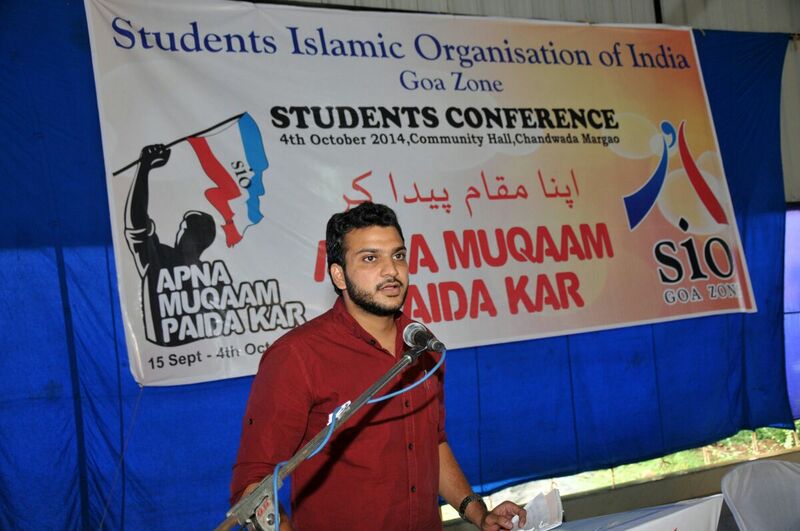 Mohammed Anees, Zonal President, SIO Goa spoke on the topic ‘SIO-Your Guide, Your Partner’. 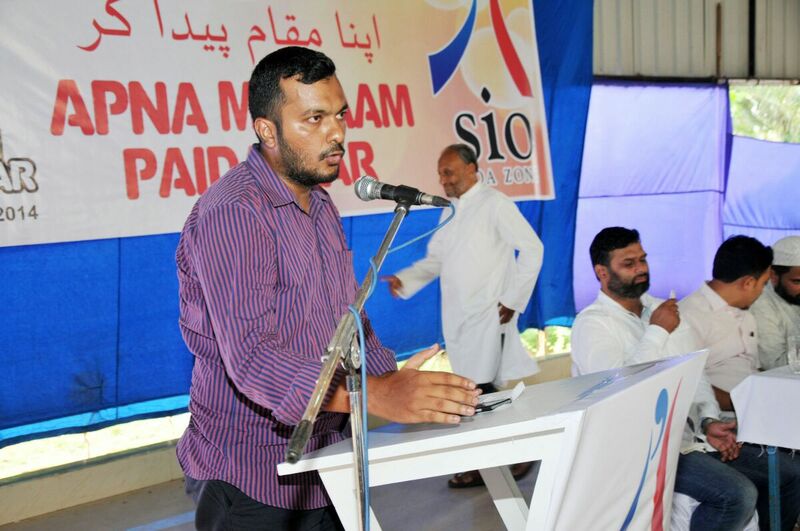 He introduced SIO and its activities & invited students to join this caravan. 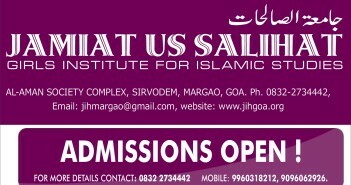 At the end the Presidential Address was by Jb.Abdul Wahid Khan, State President, JIH Goa. 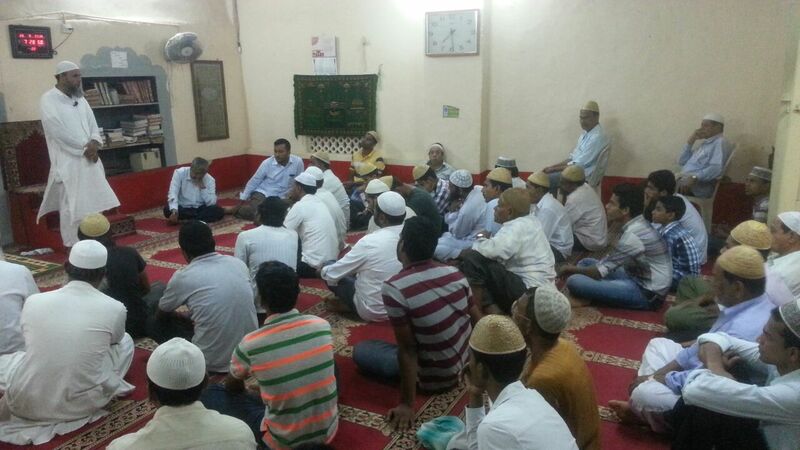 Br.Mohsin Ahmed propsed the Vote of Thanks and the audience were served with Refreshments followed by Asr Salat.